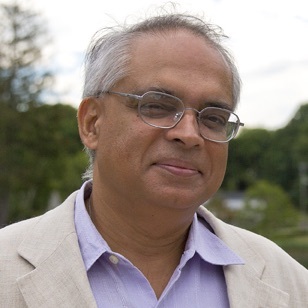 Dr. Ambar Sengupta is professor and head of the mathematics department at the University of Connecticut. He obtained his PhD in Mathematics from Cornell University in 1990, and, after a post-doctoral year at Princeton University, was on the faculty of Louisiana State University until 2016 when he moved to UConn. He has held visiting positions at several institutions, including a Mercator Guest Professorship at the University of Bonn. Sengupta’s research interests span several areas, from mathematical physics to financial mathematics, with much of his work involving probability theory in geometric settings.